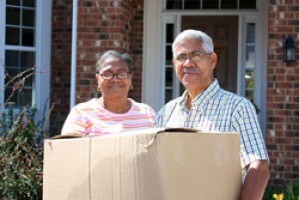 When evaluating moving companies to handle your relocation needs to or from Norcross, Georgia, be sure to consider whether they can provide the right services to meet all of your varied needs. At Bulldog Movers, we pride ourselves on doing just that. Whether you are moving a household or a business, across the street or around the world, we are one of the few moving companies who have the experience, staff, and tools necessary to handle it all. Other local movers in Norcross may come and go, but Bulldog Movers has been in business since 1982. Over that time, we have developed strategies to handle the trickiest moving situations, like tight quarters, difficult staircases, and so on. We have helped families with children, single adults, and large corporations handle the logistics of a household or business transition. Very few moving companies have the experience to provide these sorts of services. But, at Bulldog Movers, we know how important it is to ease concerns and uncertainty during these transitions, and we will do everything within our power to do just that. For more information about the ways in which we set ourselves apart from other moving companies, contact Bulldog Movers today. We’re proud to serve businesses and residents in and around Norcross, GA.